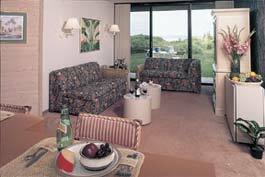 The Beach Club at Saint Augustine promises a relaxing and luxurious stay for visitors of all descriptions. This beautiful city is one of the state's top tourist attractions, and these Florida timeshare resales put guests in the center of everything. Saint Augustine is known as the oldest city in the U.S. To that end, it boasts many extraordinary historical attractions like the Castillo de San Marcos. Visitors could spend days touring museums and enjoying old-world architecture. That doesn't mean that the area doesn't have its share of natural beauty, too. Visitors have ample opportunity to enjoy beautiful beaches and a wide array of water sports along with pristine natural areas. With shopping and fine dining spots scattered throughout the town, there's something for everyone in this gem of a destination. 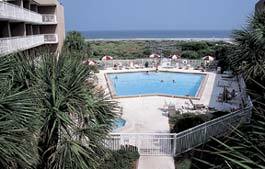 A stay at the Beach Club at Saint Augustine is the ideal way to enjoy a visit. This conveniently located resort features plenty of amenities like a sparkling pool, hot tub and game room. The basketball courts appeal to active guests while families at their leisure flock to the barbecue grills. At the sister resort next door, guests have access to additional amenities like two additional swimming pools, a fitness center, tennis courts, spa and sauna. These Florida timeshare resales feature one- and two-bedroom condominiums. One-bedroom units sleep four with ease while six may enjoy the two-unit condos. Each one is equipped with a full kitchen so that families on a budget can prepare their own snacks and meals. Music lovers can enjoy their favorite tunes with MP3 connectivity. DVDs are available for rental in the lobby to keep guests entertained. Televisions are located in living rooms and bedrooms for the ultimate in convenience. Many private balconies offer stunning ocean views, and central heat and air guarantee guest comfort regardless of what turns the weather takes. The Beach Club at Saint Augustine features a fantastic location right along the shore. Thanks to a wealth of amenities and friendly staff members, these Florida timeshare resales are popular with families who are excited about making a lifetime of memories. Contact Beach Club at Saint Augustine Specialist Today!